“I advised that I had raised the concerns of Kildare racehorse trainers directly with Minister Simon Coveney. He has confirmed to me that he plans to bring heads of a new Bill to Cabinet in April which will modernise the legislation around the levying and collection of commercial rates. One of the proposals would give County Councillors the powers to introduce schemes to alleviate rates for certain categories of rate payers in their own County. I also confirmed that under section 56 of the 2001 valuation Act, Kildare County Council cannot benefit from any recalibration of rates such as this and that Minister Coveney will sign an order in that regard. 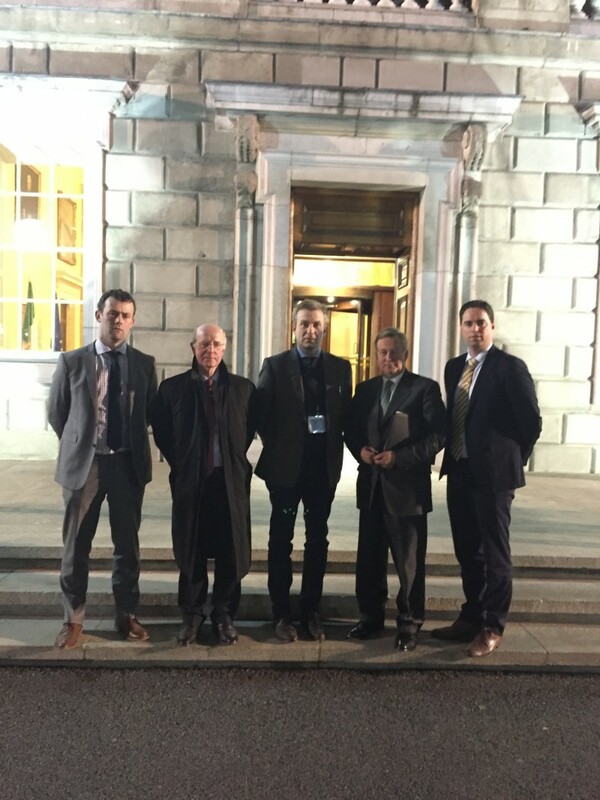 Attached photo shows Martin Heydon TD, Cllr Ivan Keatley with Michael Grassick, John Oxx and Patrick Prendergast at Leinster House.